If you ever turn on your TV, no doubt you have seen the commercials for treatment of “Low T” or low testosterone in men. Is this another disease created by the drug companies or is this something men need to worry about? The Standard American Diet (S.A.D. ): If you eat a typical American diet, you may not be getting the nutrients you need for your body to produce optimal amounts of testosterone. Vitamins A,D and Zinc are needed for normal testosterone production. Foods high in these nutrients include orange vegetables and fruits such as sweet potatoes, apricots, carrots (Vitamin A); oily fish like herring, salmon, and sardines (Vitamin D); and oysters, nuts/seeds and wheat germ (Zinc). Obesity – men with obesity have a much higher incidence of low testosterone levels. The relationship between these conditions is not yet understood but as obesity has risen, so has the incidence of low testosterone. Stress – Our high stress lifestyle leads the body to produce higher levels of cortisol. Cortisol and testosterone are both steroid hormones that are produced within the same pathway. Because those common building blocks are being used up to produce more cortisol, the testosterone production declines. Relaxation and stress reduction are very important to allow the body to produce more testosterone. Lack of exercise – Exercise, especially high intensity exercise, boosts testosterone production. Lack of sleep is associated with low testosterone. Lack of sunshine – our primary source of vitamin D is sunshine. I would recommend having your vitamin D level checked with a blood test to determine how much vitamin D you need. If you don’t have your level checked, don’t take more than 2,000 IU of vitamin D per day as Vitamin D builds up in the body if you take too much. So how do you increase testosterone levels naturally? I have seen men double their testosterone levels by making the following changes. Eat a healthy diet – whole foods, lots of veggies and fruits, healthy fats like fatty fish and shellfish, nuts, seeds and lean proteins. Do relaxation activities such as controlled breathing, prayer, yoga, or listening to music. Get out in the sun for at least 15 minutes each day. Have your vitamin D level checked and take a supplement if necessary. Get your weight down if you are overweight. 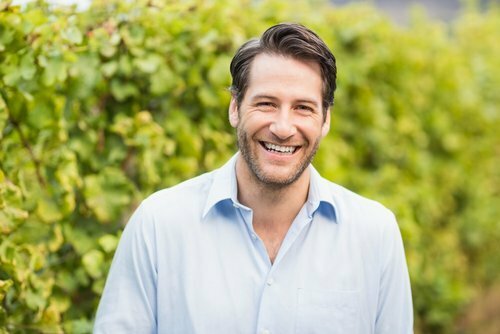 If your testosterone continues to be low despite appropriate lifestyle changes, you might want to consider testosterone supplementation from Robinson MD. Testosterone can be given topically as creams or gels, by injection, and by pellets inserted under the skin. In my experience the pellet delivery method provides the most stable levels of testosterone that was once produced by the body. Pellets are also convenient, inserted only every five to six months, eliminating the need for daily creams or weekly injections. For more information, visit our BHRT page or contact us.